A new collection of art is due to pop up in a variety of unusual spaces across the Staffordshire market town of Tamworth - including a roundabout - thanks to funding from Arts Council England. 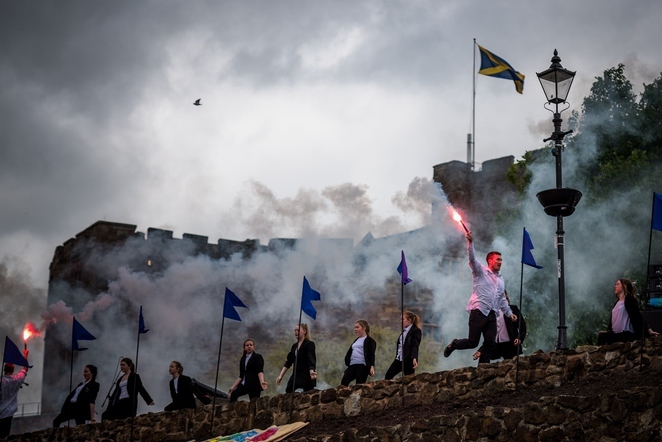 Artwork in all its forms will be springing up in Tamworth over the next two years as part of a major project designed to create and nurture new audiences. The project, entitled Art in Unusual Spaces, is made possible after Tamworth Borough Council's Arts & Events team obtained a £68,000 grant, with the grant matched by the local authority and the local community. It is also intended to coincide with the opening of the new look Tamworth Assembly Rooms which have been undergoing a major refurbishment. The art initiative will be made up of a wide variety of exciting and elements including a striking new sculpture for the town centre, bus shelter art, street music, a big draw, a massive community mosaic, theatre performances in new community locations, a film depicting a day in the life of Tamworth and an original WW1 commemorative song performed by local choirs. The hope is that by the end of the two-year initiative, Tamworth will have a large and captive audience which can then be brought back to the Tamworth Assembly Rooms theatre when it reopens. Art Attack – a weekend of arts events linked to the world's biggest drawing festival, The Big Draw. This will see arts activities taking place across the borough involving local artists and members of the public. Mercian Mosaic – an ambitious challenge to create a large mosaic that covers the Lower Lawn in the Castle Grounds (an area approximately 80 metres by 20 metres). Residents and community groups will be asked to design individual tiles which will contribute to an overall image of Tamworth. Focus 24 – free photography workshops and activities prompting submissions to an event which will see 24 photographers taking 24 photos in 24 hours. Touring Theatre – national organisation Live and Local will work with Tamworth community groups to provide volunteers with the tools needed to bring touring theatre productions to the town. The aim is for a variety of shows to be performed in unusual but familiar locations such as churches and community centres. 24 Hours in Tamworth – local residents will be asked to provide videos and social comments to create a 24-hour digital art project. Submissions will be used to make a film depicting a day in the life of Tamworth. Photographs from the Focus 24 project will also be incorporated into the film. 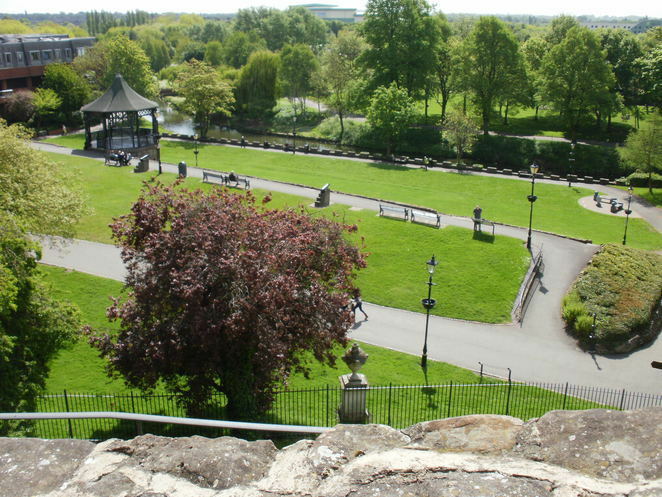 Roundabout Art – a project to create a permanent piece of visual art in the town centre, which will be part funded by Tamworth Borough Council's ongoing Gateways initiative to improve the routes into Tamworth. It will be situated on the roundabout outside Tamworth Railway Station. Councillor Joy Goodall, Tamworth Borough Council's Cabinet member for Environment and Culture, said: "It is fantastic news that we have been able to secure another significant grant from Arts Council England. 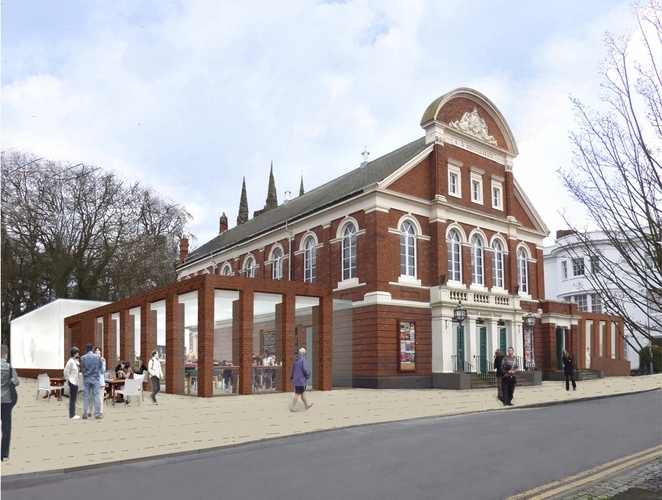 With the refurbishment of the Assembly Rooms, we are creating a theatre that is fit for future generations, but while it is closed we must look at how we can continue to provide high quality arts entertainment and activities. By taking a variety of fun, exciting and sometimes unique events out into the community, and often in places that are not normally used for art, we are doing just that. We are making sure that performers still get to perform and theatre lovers still get to enjoy the theatre."